As malware go, rootkits are one of the more nasty ones. They are difficult to detect and are capable of causing more serious damage to any system they are installed in. 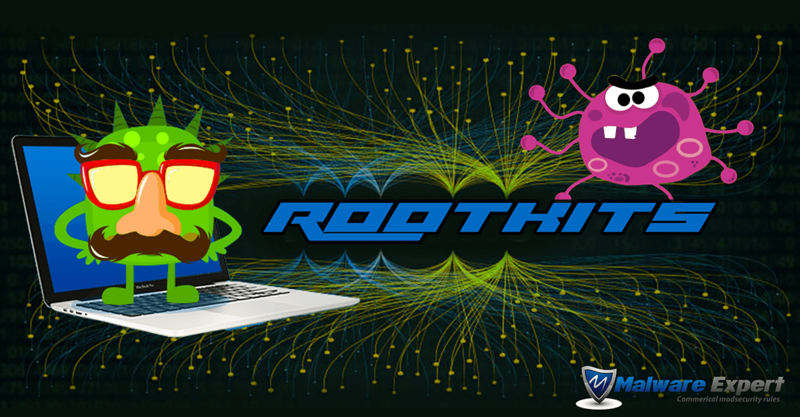 Essentially, a rootkit is a software application designed to provide privileged access (hence the “root” in the name) to a computer system for extended periods of time. The program runs in the background without the computer user or owner knowing about it’s existence or activity. Often, the rootkit will then download an additional application or open backdoors for other applications to perform malicious activity eg sending mass emails. Increasingly, rootkits are used to gain control of infected PCs and turn them into “zombies”. used by cyber-criminals for DDoS attacks and credit-card data theft. Like most malware, rootkits are spread via email (as attachments), on removable drives and as file downloads from the internet. Once installed, a rootkit starts whenever the system starts. It has “root” privileges (“administrator” in the Windows world) and is therefore capable of executing files, launching commands, controlling network access, changing system configurations, collecting user data such as passwords and even changing log files to hide it’s activity. How can I remove a rootkit? However, most are stealthy and evolving, managing to remain invisible or running as “system” processes. In many cases, the only solution is to completely wipe and reinstall the operating system. How can I protect myself from rootkits?